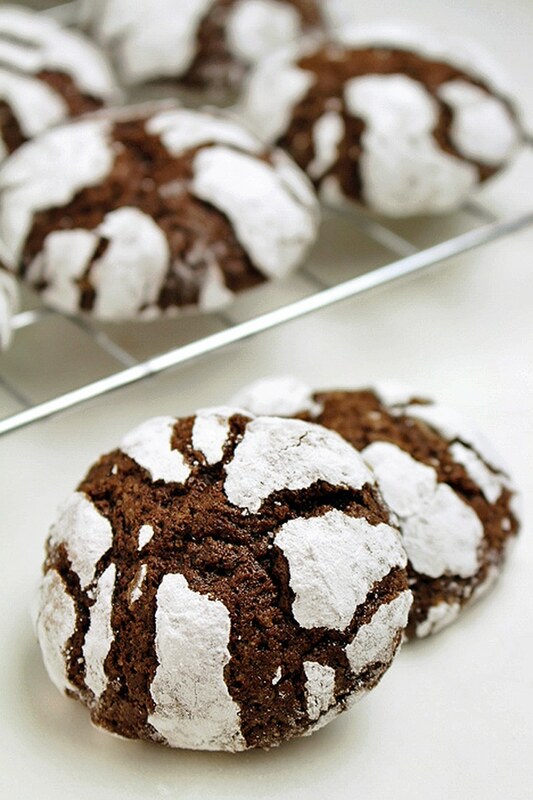 Christmas Chocolate Crinkle Cookies recipe, with a dash of fresh orange juice… 16, 15, 14… days left till Christmas. Everything is about holidays these days! My son keeps talking about Santa and asking when Santa will come and bring sweet presents. He is a real chocolate fan.. Just after Candy Cane Chocolate Oreo Bites and Holiday Maraschino Cherry Shortbread Cookies (currently most popular recipe on our blog) I`ve decide to surprise him with this Christmas Chocolate Crinkle Cookies. It was a good choice, trust me. 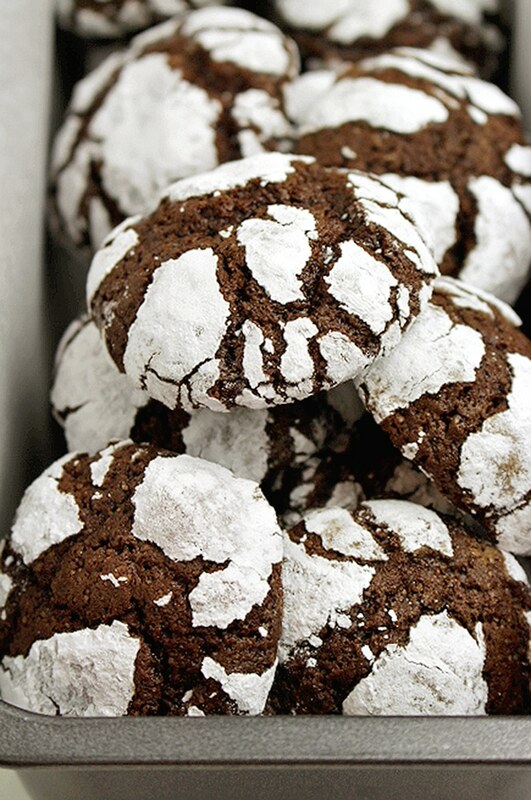 What do you need to make this Chocolate Crinkle Cookies? 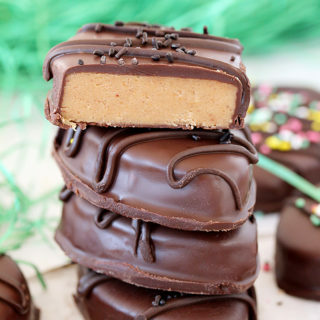 They are not difficult to make, so get ready to make your loved ones happy. Enjoy sweet magic of Christmas in your warm homes and holiday atmosphere, eating Chocolate Crinkle Cookies – a special cake for special occasions, made for special people. Merry Christmas everyone! 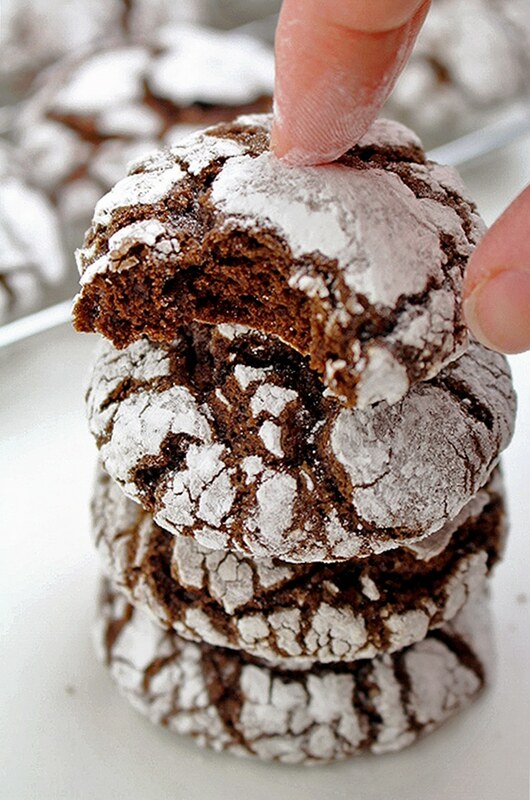 How to make Chocolate Crinkle Cookies? In a medium sized dish combine flour, cocoa powder, baking powder, baking soda and salt. Leave aside. Mix butter and sugar in a large bowl, using electric mixer, at the lowest speed for a minute, then at medium speed for two more minutes. Add one egg at a time. 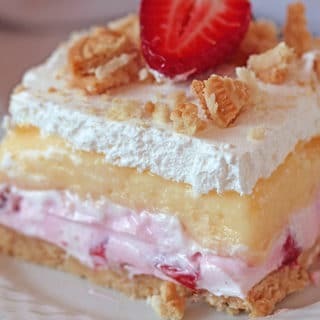 Mix until it becomes light and creamy. Add vanilla extract and orange juice and mix some more. Finally, add dry ingredients (flour, cocoa powder, baking powder, baking soda and salt) and mix using electric mixer at the lowest speed, until you get fine dough. Shape it into a ball and wrap it in plastic foil. Leave it to rest in fridge for at least 4 hours, possibly overnight. Preheat the oven to 375 F. Line baking pan with parchment paper and leave aside. Take the dough out of the fridge and make 1 inch balls, using your hands. Roll the balls in powdered sugar, so that the whole ball is covered in it. Place them into the baking pan. Make sure to leave 2 inch space between the balls. Bake the cookies for 10 minutes. 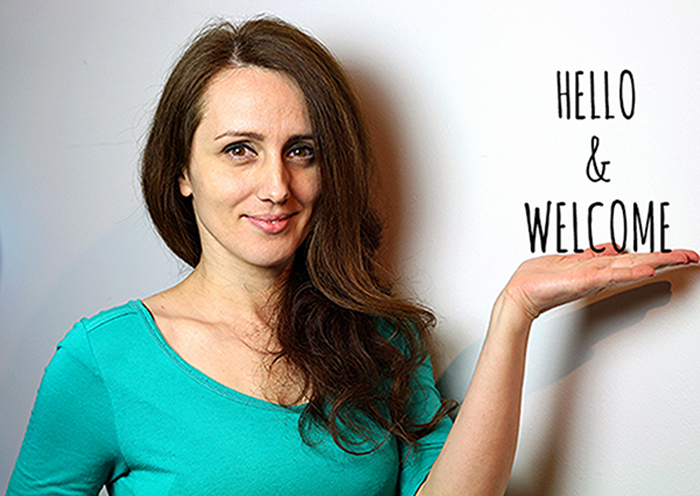 Allow to cool a minute or two before transferring to a wire rack to cool completely. These are perfect Christmas cookies, soft inside and crunchy outside, with full taste of chocolate melting in your mouth. You can keep them at a room temperature for a few days. Love a new cookie recipe! 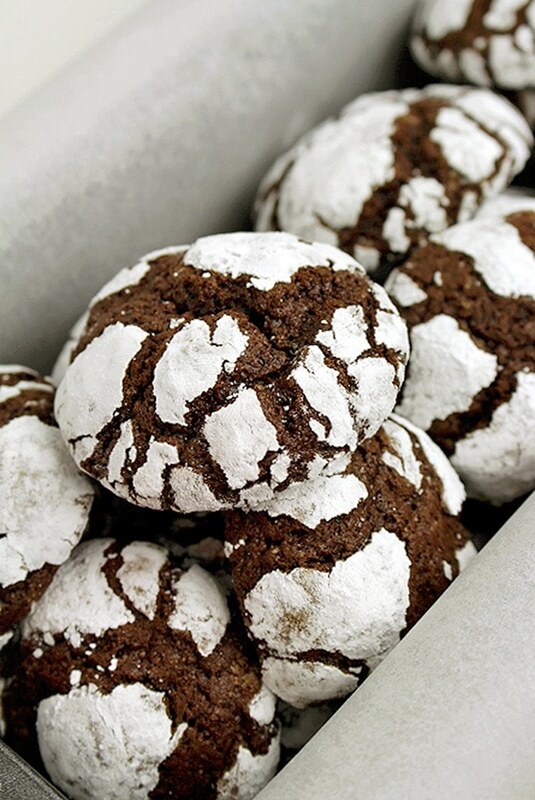 I’ve seen chocolate crinkles for years, never made them though. I’m not sure why, they look divine! The splash of orange juice is an interesting addition. 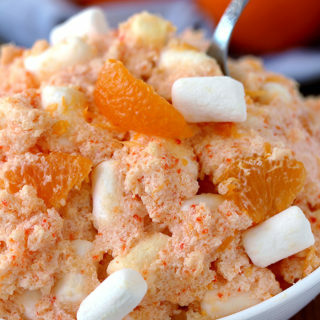 Is orange juice a must in this recipe? ?